14: Film Evening at the EAA Auditorium Rand Airport. The film to be shown is Piece of Cake, covering the Battle of Britain pilots, during WWII. 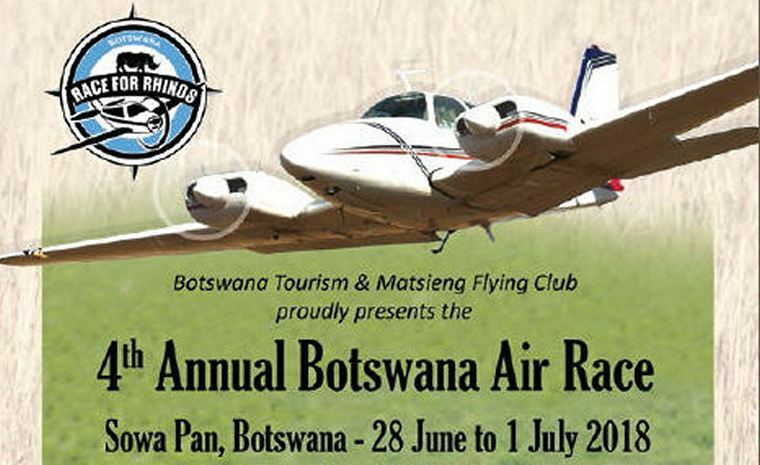 For booking email chairman@eaa322.org.za. 23: Potch charity event fly-in breakfast. To raise funds for cancer sufferer 4 year old Ruben Bamberger. 24: Vintage Aircraft Fly-in Johannesburg Model Aircraft Club. 30: Wings Park Open Day and Fly-In. 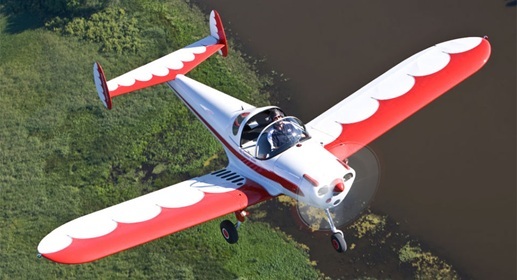 The eagerly anticipated Sling TSi test article recently made its public debut in South Africa and will be unveiled at the upcoming EAA Airventure at Oshkosh, Wisconsin, USA in July 2018. Photo © The Airplane Factory. The Sling TSi, like its predecessors, has received critical acclaim for its capabilities, effortless handling and all-round functionality. The name 'TSi' is a homage to its Rotax 915 iS engine and marks a new chapter in TAF's vision to build the world's most loved light aircraft. 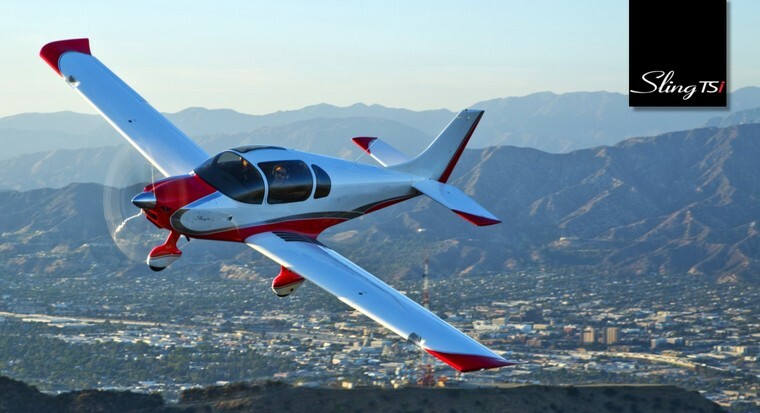 Mike Blyth, founder of The Airplane Factory had this to say of their latest development; "The brand-new Sling TSi stands out as the new standard for 4-seat experimental aircraft. It outperforms most others in every way. 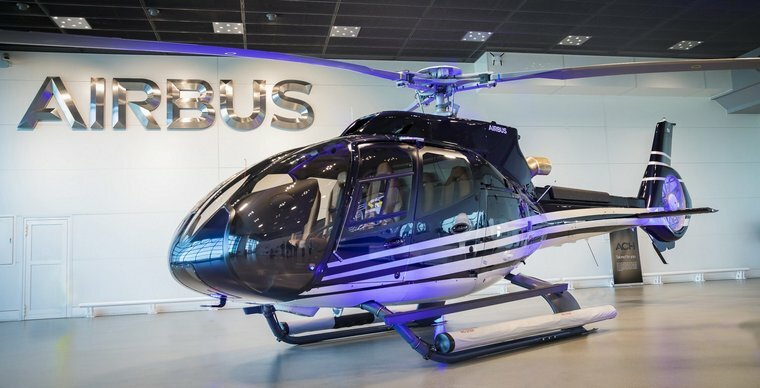 Compared to previous models it has increased speed, increased rate of climb, longer range, increased carrying capacity, more space and greater comfort all whilst flying the best handling aircraft in its class!" The Sling TSi is powered by a 141hp Rotax 915 iS Fuel Injected Turbo Charged Engine burning just 8 gph (31 lt/hr) in the cruise. During test flights, the aircraft reached a maximum straight and level speed of 155 KTAS and has a range of 800 Nm. With its luxurious cabin, low fuel burn and Garmin avionics, it will please private pilots and flight-training organisations alike. This 4-place aircraft comes standard with a bespoke 3 blade Airmaster constant speed propeller, Garmin 10 inch G3X touch EFIS, Garmin G5 backup EFIS, Garmin GTR 200 COM radio, Garmin GTX 35R remote transponder, Garmin autopilot system with GMC 307 autopilot controller and PM 1000 II 4-place intercom. The completely redesigned exterior features high quality materials and design integrity, as well as great practicality and a range of technologies to improve comfort, convenience and safety. The result is an aircraft with an uncompromising mission: To offer unrivalled performance, safety and reliability in the hands of all pilots no matter the mission. 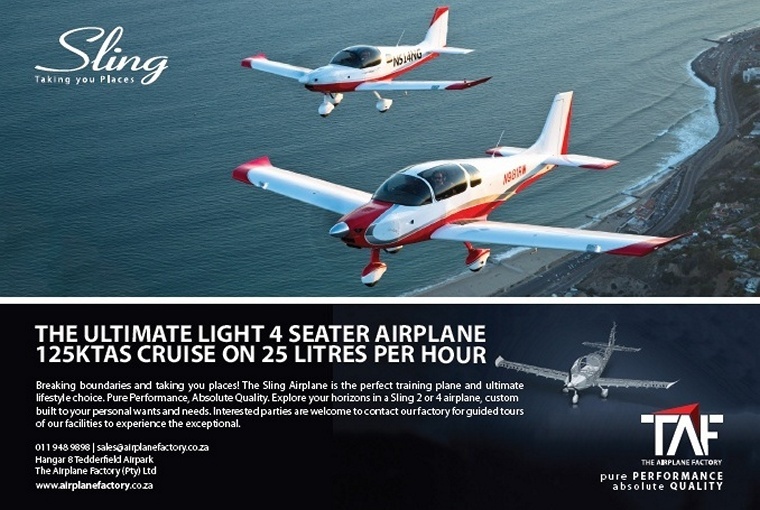 For more information on the Sling TSi, contact The Airplane Factory on +27 11 948 9898 or email us at sales@airplanefactory.co.za. 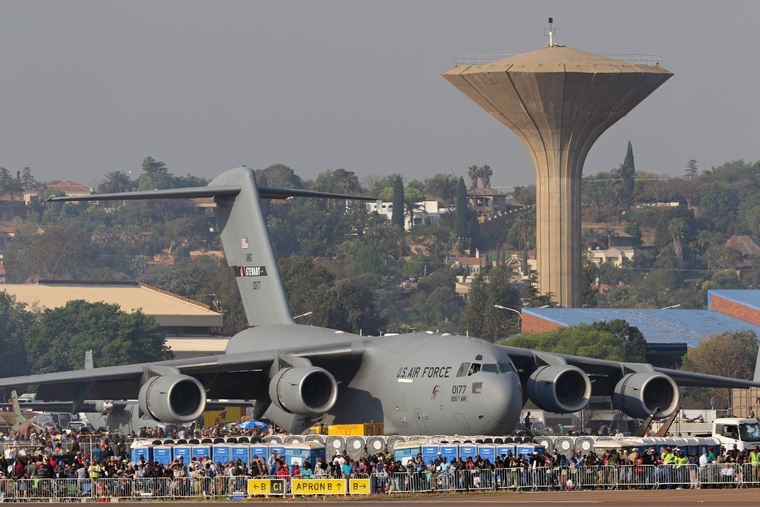 With less than five months to opening day, the 10th edition of Africa Aerospace & Defence (AAD) is gaining increased attention from exhibitors and other role players in the aerospace and defence field. This is exemplified by the number of confirmed exhibitors, the record number of national pavilions confirmed to date, as well as major sponsors that have pledged support towards the event. Photo © Willie Bodenstein. 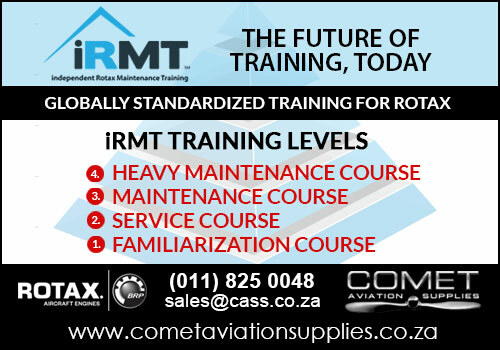 Managed on a rotation basis by a partnership comprising the Department of Defence (DOD), Armscor, the South African Aerospace, Maritime and Defence Industry Association (AMD) and the Commercial Aviation Association of Southern Africa (CAASA), AAD2018 will take place 19 to 23 September 2018 at its long-standing home of Air Force Base Waterkloof in Tshwane. According to the organisers, AAD2018 will once again be a world-class showcase, with spectacular aerial and ground displays, some of which have never been seen before on the African continent. 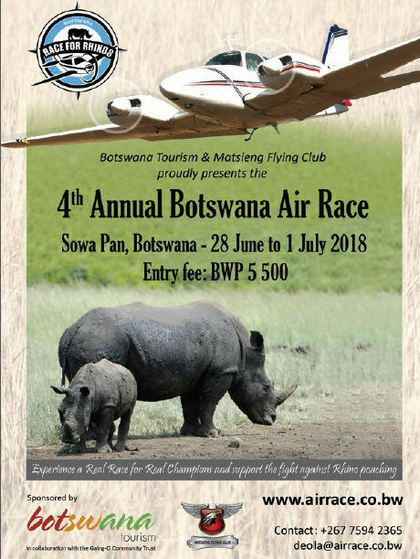 "We are currently still engaging several countries to finalise their participation of aircraft," said Leon Dillman, CEO of the Commercial Aviation Association of Southern Africa (CAASA), the lead partner tasked with ensuring the success of the popular air show and exhibition. "As we await confirmation of aircraft types, we hope to make an announcement shortly; watch this space", commented Dillman. National pavilions confirmed are Brazil, Canada, China, Czech Republic, France (a new pavilion), Germany, Italy, Namibia, Russia, Turkey, Poland, USA and UK. With Lithuania taking a national pavilion, this brings the total number of pavilions to 14 thus far. Besides national pavilions, local and foreign exhibitors have booked up virtually all available space at AFB Waterkloof. According to Dillman, most outdoor space has been sold out and more than 90% of indoor exhibition space has also been taken. Of the available hospitality chalets, more than 80% have been booked. A new feature on the AAD2018 programme will be seminars, covering topical subjects such as "Cyber Security" and "The Future of Drones". Seminars at major exhibitions have gained popularity worldwide, both as a means to convey key capabilities in a specific field to the toplevel decision-makers attending the exhibition and to enable the industry to engage on a wider front. These seminars are scheduled to run over the three trade days, i.e. 19 to 21 September. A complete schedule will be communicated in due course. "For this reason, we offer a number of small theatres with seating capacity of fifty (50) for presentations, product launches and media briefings, which are ideal at a venue like Waterkloof," explains Dillman. Given the importance of drones in both the military and commercial spheres, and at the behest of drone manufacturers, AAD2018 will once again feature a dedicated drone pavilion at AAD2018, according to Dillman. The Exhibitor Briefing is scheduled for July. Trade registration (for trade visitors only) will open on 15 May 2018. 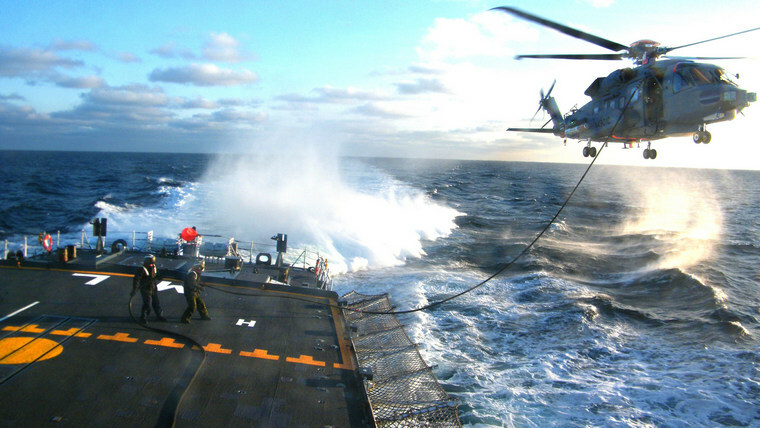 Trade visitors are invited professional and business persons primarily engaged in legitimate areas of defence, general aviation, the military, government, equipment procurement, end-users of such equipment and research entities. This precludes persons under the age of 18 years. The trade invitation is valid only for the Trade days 19 to 21 September 2018. For any prospective exhibitors that still wish to participate, Dillman advises them to access the E-zone on the AAD website www.aadexpo.co.za where bookings can be made. This is done on a first-come-first-serve basis. Congratulations! I write this to honour the entire RV community who has contributed to the culture committed to flight safety that we have been able to foster. In case you are unaware, AOPA has recognized the advances in general aviation safety and have recently created a new award aptly titled the "General Aviation Safety Award". I am humbled and honoured that they have selected me as the inaugural recipient. Flattered by this recognition, I am fully aware that it was by no means a singular accomplishment on my part. The text of Richard McSpadden's column in the April '18 issue of PILOT magazine and in the attachments to this post, clearly recognize the team effort that brought about this honour. Most are aware of the efforts such as the RV Transition Training initiative and the many safety articles published in the RVator over the years. Also, the extensive mentoring and encouragement you have offered to one another has resulted in safer airplanes and pilots. It is very rewarding to see that our efforts and success has been recognized by the Safety Program leaders at AOPA. Reception of this award is gratifying but should not be viewed by any of us as a basis for complacency. RV accidents still occur for various reasons with most being preventable. Also, the bulk of the homebuilt community does not yet enjoy a level of safety equal to ours. Therein lays the challenge: To broaden the base of transition training and other safety practices that has been promoted by the culture and benefited our RV community. While in Washington D.C. for the award ceremony, I was able to meet with Richard McSpadden , Executive Director of the AOPA Air Safety Institute and several others for a discussion on safety. The details of which, though not superfluous, are not entirely cogent to this announcement. However, there were some interesting topics well worth mentioning. One not directly related to safety statistics was their envy over the amount of flying that the members of the RV community amass, i.e., your level of enthusiasm toward flying and flying as often as possible. They wanted to know how "I" spawned this flying fervour, if you will. Obviously, l and the Van's staff helped facilitate this through the quality of our kits, our aircraft's performance, and our product support. However, it is your passion for flight that is the secret ingredient in the formula. Another topic discussed was that of determining pathways to "reach the unreachable". This obviously refers to those pilots who live in their own chosen reality and do not recognize the conventional wisdom that we accept as necessary to fly safely. This is an old refrain with no new answers other than perhaps the "trickle-down" principle. That is, YOU accept and practice safe flying principles and practices, and encourage others to do likewise. Then, those new converts reach out to the next level of "non-believers". Some outliers are unlikely to ever listen to the word from "on high", but hopefully will respond to the examples that you, their peers, set and the respect they have for your character and your skills. There is certainly no way to guarantee the success of this approach, but many have already seen fruitful examples of this positive trend. This is the long, hard road to achieving positive culture change. I've been flying the Mako Turbo for only a few weeks, and it is literally a rush! There's just no substitute for turbo power. Photo © Lancair. Our new TIO-540 powered Mako made its first appearance a few weeks ago at Sun N Fun 2018 in Lakeland, FL. Since then, we've begun putting it through the paces and verifying the performance improvements. I'm excited to report that it is exceeding our expectations in virtually every area. The 350 horsepower twin turbo Lycoming engine makes the most of every cubic inch. 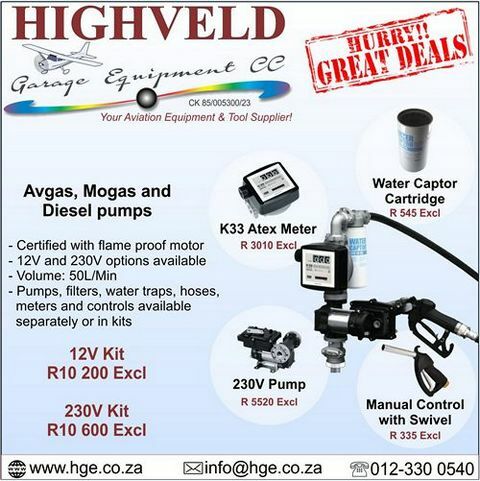 Up to date technology like electronic fuel injection, dual electronic ignition and twin intercoolers make this a reliable and responsive powerplant. Our demo/test aircraft, N580L, now cruises at 225 knots and achieves a maximum speed of 245 knots at 25,000 ft. With a maximum range of 1100 NM and 1800 fpm climb rate, the Mako outperforms any comparable new aircraft on the market today. For a detailed comparison with Cirrus, Cessna and Mooney alternatives, check out the new Mako comparison page on our website. We'll continue refining and testing the plane in the weeks to come, and will have more to share at EAA AirVenture in July. Stay tuned! 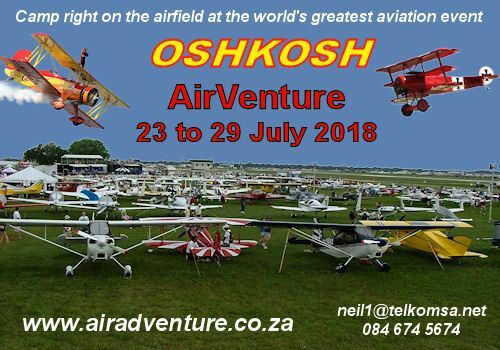 The Vintage Aircraft Association will be featuring affordable, fun vintage airplanes in the Vintage Village, just east of the VAA Red Barn and south of the DC-3 area, during EAA AirVenture Oshkosh 2018. The affordable airplanes typically cost within the $15,000 to $40,000 range - less than a new car and far less than a new production aircraft. 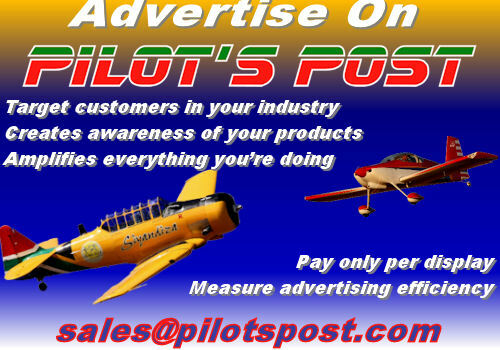 Makes include Aeronca, Cessna, Ercoupe, Piper, Taylorcraft, Interstate, Luscombe, Culver, Porterfield, and Stinson. Rows of these airplanes will be in the Vintage Village all week, along with information such as the average cost of ownership, to show the accessibility of vintage flying. Owners and pilots will be around to talk to as well. 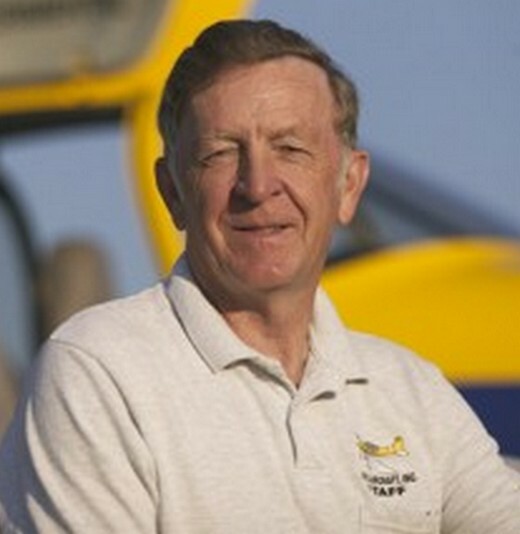 Bill Pancake, EAA 118244, will present two Vintage forums, sponsored by B&C Specialty Products, on fun and affordable airplanes, on Monday, July 23, at 10 a.m. and Friday, July 27, at 11 a.m. in the Vintage Hangar. Pancake is also being presented with the General Aviation 2018 Aviation Maintenance Tech of the Year award during AirVenture. More information on fun and affordable Vintage aircraft can be found at the VAA website. A massive Lockheed Martin C-5M Super Galaxy, one of the largest military cargo aircraft in the world, will be in attendance at EAA AirVenture Oshkosh 2018, which takes place from July 23-29. Photo © DeKevin Thornton. 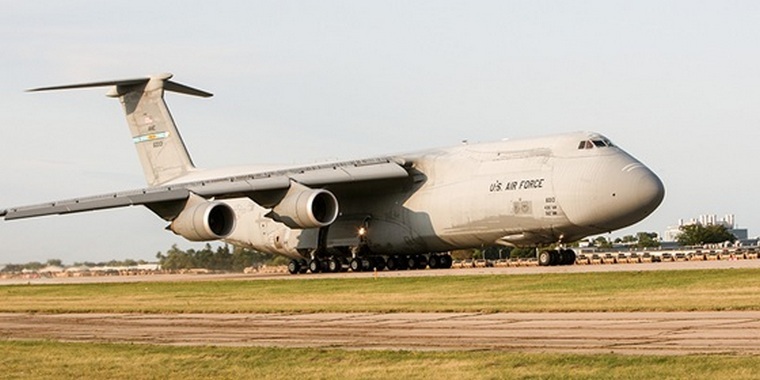 The airplane will be flying in to Oshkosh at the end of the Tuesday afternoon air show and departing during the Sunday air show, giving AirVenture attendees the rare opportunity to see a C-5M in flight. During the course of its stay at AirVenture, the C-5 will be on static display and open for tours on Boeing Plaza, with the Air Force Reserve Command showing a unique exhibit within the aircraft for visitors. "The C-5 is celebrating its 50th year, but it's also playing a role in the 70th anniversary of the Air Force Reserve Command," said Maj. Christopher Vasquez, Air Force Reserve 70th year project officer. "We're bringing out a great crew from Travis Air Force Base [in California] to become a unique exhibit, where we will host 70 years of history inside the aircraft and on the walls. You'll be able to walk through 70 years of Air Force Reserve Command history and come out the other end into Boeing Plaza." The aircraft, acquired by an unnamed customer, will be operated by Monacair. Frederic Lemos, Head of ACH, said, "The ACH130 combines unique passenger-focused design, exceptional single-engine performance and first class quality and comfort, making it very popular with private customers worldwide and a favourite of world-leading VIP and charter operator, Monacair, who operate a total fleet of eight ACH130. A Student pilots lands on a busy urban road. Turkey, Budapest: An experimental electric plane built by Hungary's Magnus Aircraft and Siemens crashed near Budapest, killing the pilot and the passenger. The aircraft ignited during the crash, the flames were extinguished by professional firefighters in Pécs and Siklós within a few minutes. Witnesses saw the aircraft manoeuvring at low altitude before catching fire and crashing in a near vertical dive." If indeed the fire began in the air, and if the airplane was indeed a pure electric version of the eFusion, then one might speculate the problem could have started in the lithium-ion battery pack. Such batteries can undergo thermal runaway, in which one cell suddenly releases a lot of heat, causing neighbouring cells to do the same in a chain reaction. Thermal runaway has plagued cellphones, laptops, and e-cigarettes. Siemens and the Hungarian authorities are each conducting investigations, and according to regulations there will be no announcements until the analysis is further along. Meanwhile, Siemens is grounding the plane. Russia, Surgut: Two Pobeda airline pilots were pulled from duty and fired after turning up to fly a passenger aircraft cross-country, while allegedly drunk. The men arrived to work last week, scheduled to fly from the Siberian city of Surgut to the Caspian port city of Makhachkala-a journey that takes nearly five hours. After a mandatory medical test, authorities established that neither one of the pair was fit to fly. After the pilots failed their respective sobriety tests they reportedly asked for a 30-minute break, after which medical officials gave them another chance to prove they were fit to fly. Having first registered blood alcohol levels of 0.41 percent and 0.74 percent respectively, the men returned from their break with an even higher concentration of liquor in their systems, ticking up to 0.45 and 0.76. Canada, Goose Bay: A Delta Airlines Airbus A330-300on a flight from Amsterdam to Atlanta (USA) with 293 passengers and 13 crew, was enroute about 400nm northeast of Goose Bay (Canada) when the left hand engine began to vibrate exceeding 10 units. The crew reduced the engine to idle thrust, the vibrations ceased. The crew kept the engine running and diverted to Goose Bay for a safe landing. The Canadian TSB reported maintenance found metal debris in the tail pipe and replaced the engine. Japan, Okinawa: An Air Force F-15C fighter jet crashed in waters off Japan's southern island of Okinawa Monday. The Air Force said in a statement that the pilot ejected and had been rescued. USA, Texas: The US Air Force ordered the grounding of its entire fleet of Rockwell B-1B Lancer bombers on 7 June due to safety concerns. The USAF suspended flights of the aircraft following an emergency landing of a B-1B at Midland International Air and Space Port in Texas which had blown at least one of its escape hatches without launching its ejection seat. All four members of the crew landed safely. Marcel Brindejone des Moulinais wins the Pommeroy cup in Warsaw for the longest flight between sunrise and sunset, flying 900 miles from Paris. 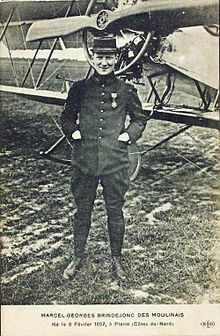 Marcel-Georges Brindejonc des Moulinais was a French aviator born on 18 February 1892 best known for long distance flights including crossing the Baltic Sea. He also flew as an exhibition and racing pilot. He flew reconnaissance missions during the battle of the Marne. His interest in flying started during the summer of 1909. In December 1910 he bought an aircraft from Alberto Santos-Dumont, and then enrolled at a flying school at Pau, gaining his pilot's license on 13 March 1911. In June, he participated in the meeting at Abbeville in a Blériot monoplane. He then bought a Morane-Borel monoplane and started entering flying competitions. In July, he returned to Paris, and was given a job as a pilot by Morane. The same month he was injured when he made a forced landing in a stoneyard at Billancourt. This accident prevented him from taking part in the 1911 Daily Mail Circuit of Britain Air Race. 1913 was his most successful year. His trip from Paris to London, Brussels and returning to Paris (1,040 km 650 mi) in a Morane-Saulnier C monoplane, with double crossing of the Channel) took place between 25 and 27 February 1913. During his tour Paris-Bordeaux-Burgos-Madrid-Barcelona to Perpignan Lyon Paris from 24 March to 12 April 1913. On June the 10th he won the Pommeroy cup for the longest flight between sunrise and sunset, flying 900 miles from Paris. He was awarded the Legion of Honour on 11 August 1913, aged 21, becoming the youngest of holder of the honour. On 3 July 1913 he received the great gold medal of the Aero-Club de France. On 23 December 1913, he received the Medal of the Academy of Sport. He had been decorated at Saint Petersburg (by the Grand Duke Alexander) with the order of Sainte-Anne, Stockholm of the order of Gustav Vasa and Copenhagen (30 June by the king) in the order of Daneborg. Called to perform military service, he enlisted on 10 October 1913 in the 1st aviation group at Versailles. He was promoted to Sergeant on 3 September 1914, to second lieutenant on 25 December 1914 and lieutenant on 26 December 1915. He was awarded the Croix de Guerre on 2 June 1915. His plane was shot down on 18 August 1916 in Vadelaincourt near Verdun. He was buried in Souilly on 6 July 1922.